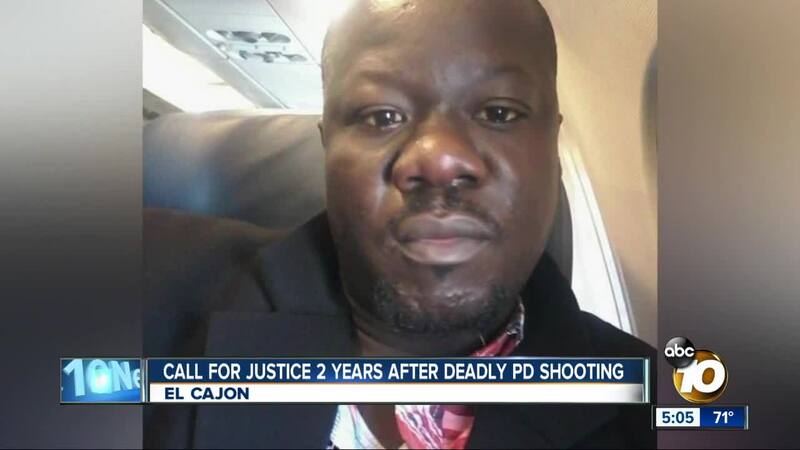 EL CAJON, Calif. (KGTV) - Two years after Alfred Olango was shot to death by El Cajon police, his family and community members are continuing their call for action and justice. Olango’s family and other community activists spoke out in front of the El Cajon Police Department headquarters Wednesday morning to mark the upcoming two-year anniversary of Olango’s death and demanded the firing of the officer who shot him, Richard Gonsalves. Family members also announced a Sept. 29 gathering at the location where Olango, a Ugandan immigrant, was mortally wounded and a march later in the evening. Olango’s death sparked outrage in the community and led to several tense protests in El Cajon in the following days. Amid the uproar, community leaders called on the release of surveillance video that captured the incident and Gonsalves’ dismissal. On Sept. 27, 2016, Olango’s sister called 911 to report that her 38-year-old brother was displaying erratic behavior and walking into traffic. Two responding officers spotted Olango in the parking lot of a fast food restaurant in the 800 block of Broadway and ordered him to remove his hands from his pockets. Olango pulled out an object that officers believed was a gun and, according to police, he assumed “what appeared to be a shooting stance” and made some kind of movement. At that moment, one of the officers deployed a stun gun on Olango, but Gonsalves fired his gun at least four times Olango. Olango was pronounced dead, and police later determined that the object in Olango’s hand was an e-cigarette device. 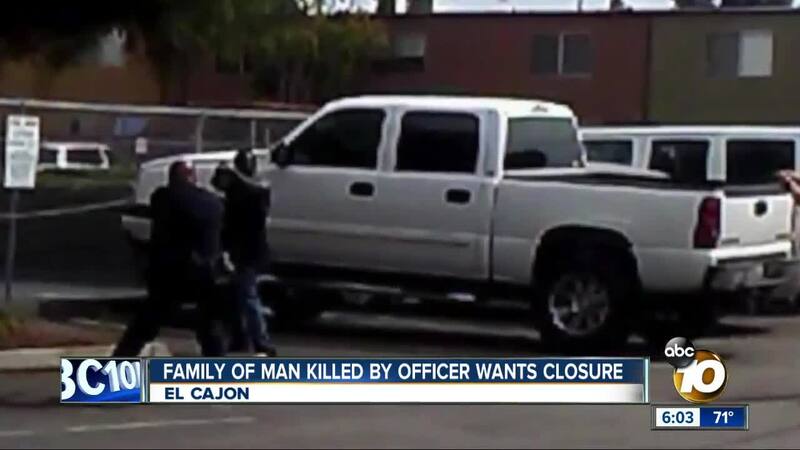 El Cajon police eventually released two videos that showed the shooting, but Gonsalves was never relieved of his duties. Less than four months after the shooting, the San Diego County District Attorney’s Office determined police were legally justified in firing at Olango and no criminal charges were filed against Gonsalves.